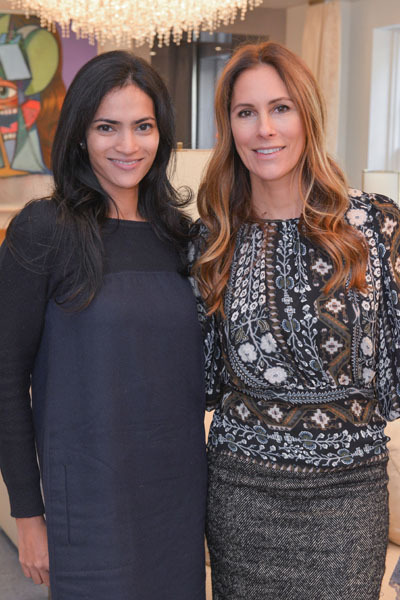 Thursday morning, November 9th, prominent New York women came together at the Upper East Side townhouse of philanthropist Chris Mack for a trunk show preview of European lingerie brand, Triumph of Europe’s newest lingerie collection. A percentage of sales from the event was donated to the Dubin Breast Center of The Tisch Cancer Institute. 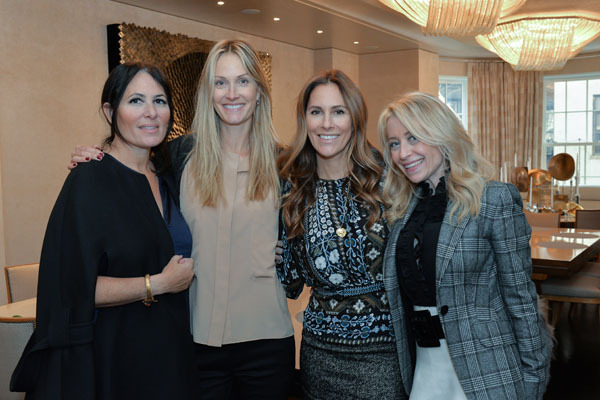 Hosts Chris Mack, Eva Dubin, and Cristina Cuomo welcomed friends who enjoyed a light brunch while shopping the new Triumph collection. Guests included Armarium co-founder Alexandra Lind Rose, art dealer Blair Voltz Clarke, Felicia Taylor, Dr. Kelly Posner Gerstenhaber, Jennifer Creel, singer and songwriter Marie-Line Grinda, fashion designer Mariama Camara, Sandra Ripert and Ulla Parker, among others. As one of the world’s largest intimate apparel companies, Triumph of Europe offers lingerie that makes women look and feel their best. For over 131 years Triumph has been a fit specialist and expert in creating feminine designs and innovative products for all occasions, shapes and sizes. The Dubin Breast Center of The Tisch Cancer Institute provides a multidisciplinary, comprehensive approach to breast cancer screening, treatment and survivorship. Located at Mount Sinai Hospital’s main campus on New York City’s Upper East Side, their 15,000-square- foot facility houses a full range of services, including cancer screening and biopsies, cancer treatment including surgery, chemotherapy and radiation, wellness, patient and family support services, education, genetic counseling and testing, onco-fertility services, access to clinical trials, and survivorship support.